which manage the quantity , quality and location of the inventories, as well as the order picking process. 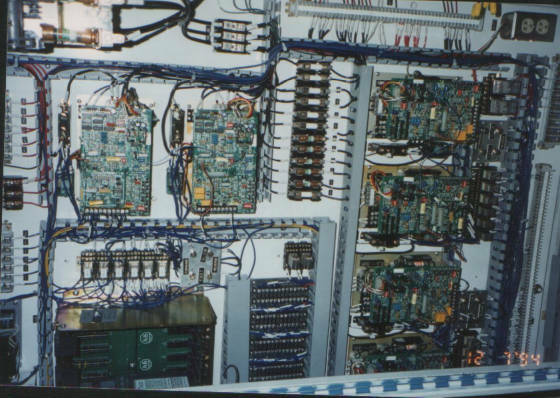 From microprocessors and interface boxes (CIBs), our control systems feature reliability. With six-digit LED light trees and sort bars, we can direct order picking, replenishment and order sorting, in a paperless environment. Hardware and software can both be customized to support most host computers used today. ACS keeps customers on top of new ideas, new products and new technologies,that continually improve customers needs. If your operation is in need of technical support, simply give us a call. ACS has A wealth of expertise in the relocation of your existing equipment. Call us for a quote. We offer the best relocation warranty in the business.